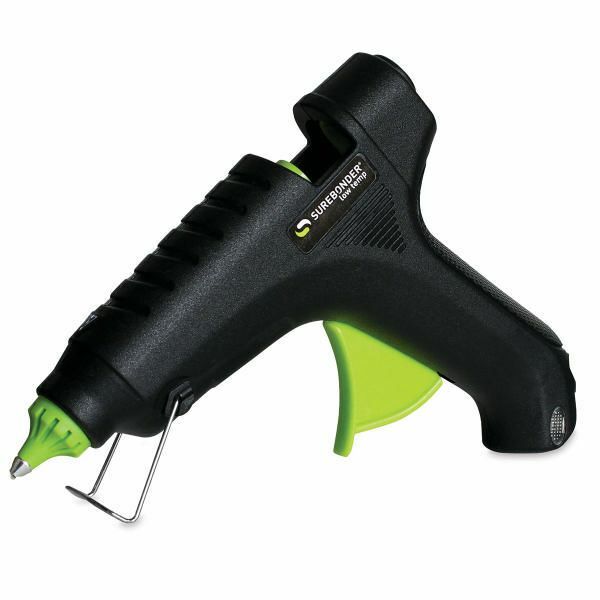 This is a low temperature mini glue gun. A low-temperature glue gun is much safer to use because it decreases the likelihood of burns. Great for wood, plastic, fabric, metal, and paper. Glue sticks are available separately. 120 VAC.